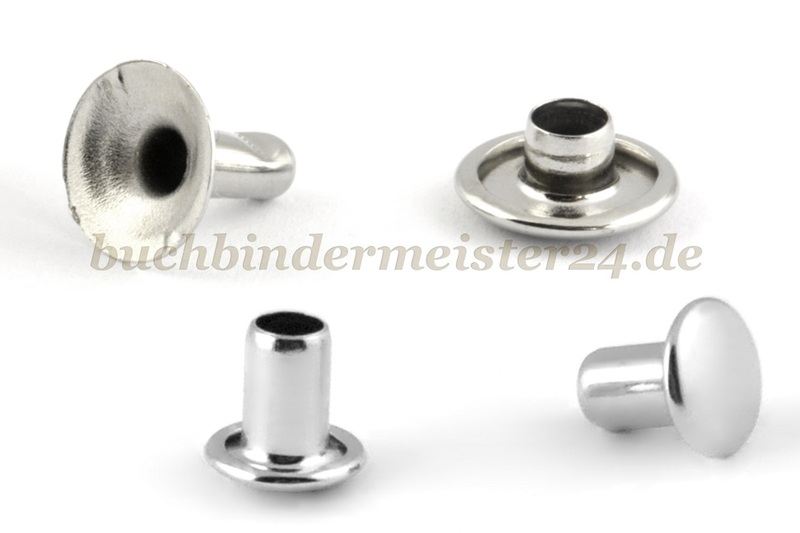 Double cap rivets are a simple and secure way to fasten on for example our wire clip mechanism on a clipboard. The double cap rivets consist of two parts that are plugged into each other and are then fixed with a hammer or better with our riveting tool. The advantage of using our riveting tools is that the surface of the rivet will not be deformed. 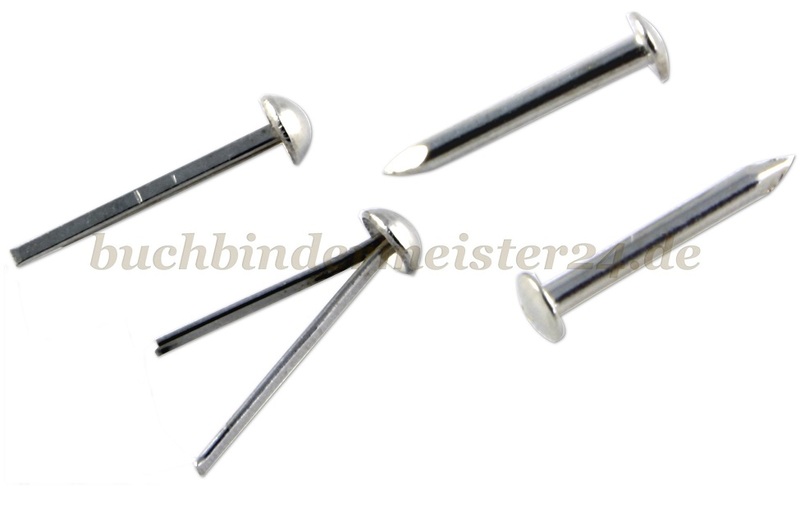 The double cap rivets are available in various sizes. You also have the choice between closed rivets (head and foot of the rivets equal) and below opened rivets. 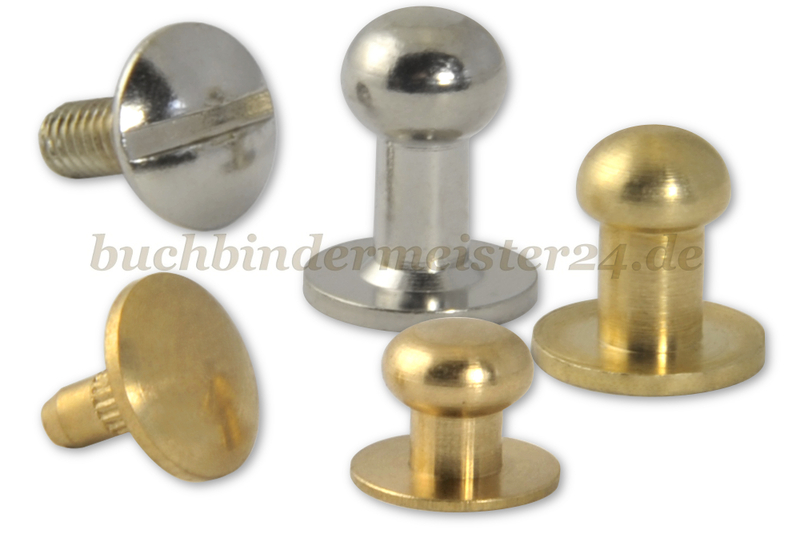 Surface silver or black nickel is availabel for the double cap rivets. Splint pins are ideal to attach fittings such as our label holders and shell handles. The splint pins with clip can be easily bent by hand and are therefore particularly suitable for attaching fittings to Carton. If you have a firmer ground such as wood you should use round head pins. These splint pins are fixed with a hammer. 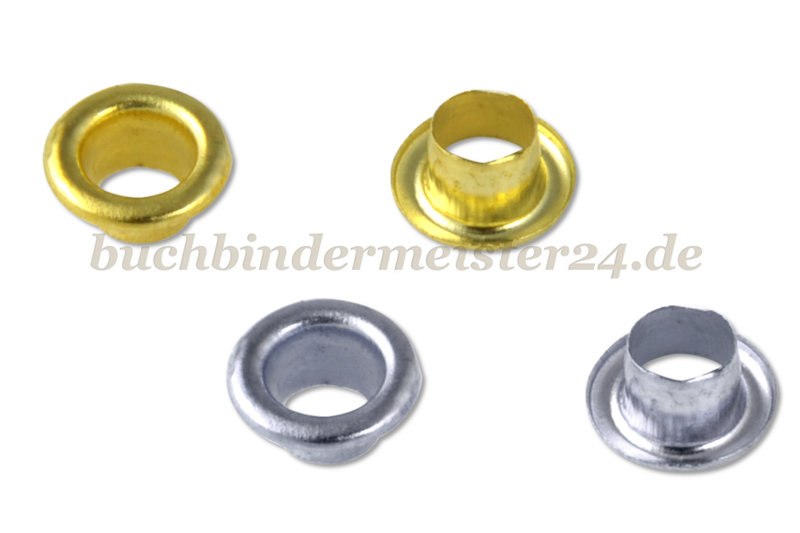 Also eyelets are available. Made of iron with nickel or brass plating. You can attach these eyelets easily with our eyelet plier.